I have officially entered the ranks of people living in 2014: a week ago, I bought my first iPhone. As much as I love the conveniences that my sparkling new 5s has afforded me, it was not easy for me to part ways with my dinosaur of a smart phone. Call me sentimental, call me stubborn, call me touch screen averse – all true. I will admit to being slightly irrational for holding on to it for so long, but damn it, I loved that phone. It may be pretentious and kind of weird to personify a phone, but over the last four plus years that BlackBerry was as reliable as any of my besties. It traveled with me to London, Paris, Chicago, New Orleans, Phoenix, Amsterdam (to name a few), and all over the Pacific Northwest from Vancouver to Seattle to Olympia to Medford, Oregon with stops in between. It was a vital tool in coordinating both creative endeavors (co-producing several plays, as well as my first film) and crisis management (planning details of my parents’ memorial services, fighting a bad case of identify theft, troubleshooting an insurance nightmare after a rental car break-in in Chicago). Through it all, my phone was there, and with it, the ability to send lighting fast emails and text messages on my beloved keypad. The truth is, I’m still a bit of an analog girl living in a digital world. I love the smell of books and I’d rather hold one in my hand than read it on a Kindle. I find sublime happiness in flipping through a glossy magazine. And I’m convinced I do my best writing pen to paper, rather than fingers to keyboard. Maybe it’s for these reasons that I resisted upgrading the technology of my phone. Maybe (definitely) there’s a great deal of sentimental value attached to that pocket computer given who gave it to me and where it came from. Maybe after all we’ve been through together, BlackBerry, it’s just hard to quit you. But like all good things, this too had to come to an end. For years, my phone was the little engine that could. But when the battery started to go and I had to be plugged into a charger for any conversation lasting longer than 3 minutes, I knew it was time to say goodbye. So bye bye, BlackBerry. 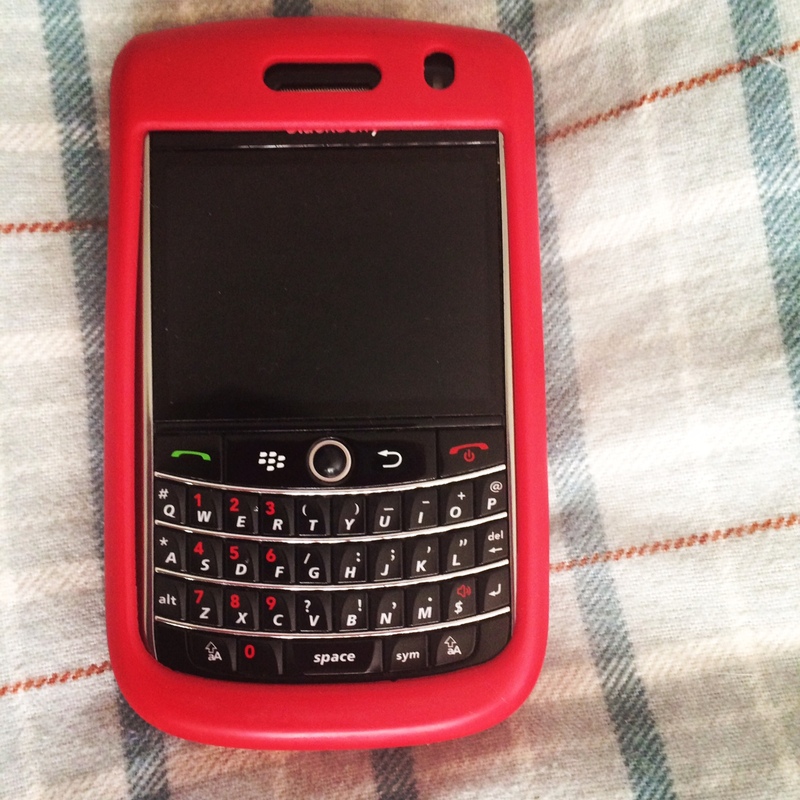 Bye bye generous Boeing discount, keypad and the beloved ‘ding’ you made whenever I received a text message. Hello Instagram, super fast internet, convenience, and (gulp) a real cell phone bill. You may be gone, old friend, but you’ll never, never be forgotten.